Shujaiya, suburb of Gaza City, was one of the hardest hit areas during the 2014 war in Gaza. It is with great danger and difficulty that the Red Cross and relatives are able to retrieve the dead and missing. Today four brothers from the same family were found under the ruins of their house. 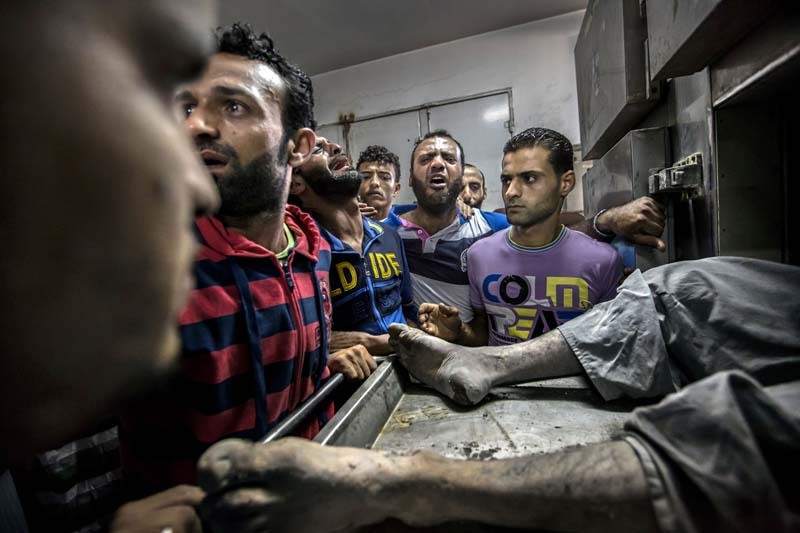 Relatives and friends pick them up at the Shifa hospital morgue. In the midst of all the traumatic sorrow – they also have to move quickly, for security reasons the dead have to be buried before nightfall.